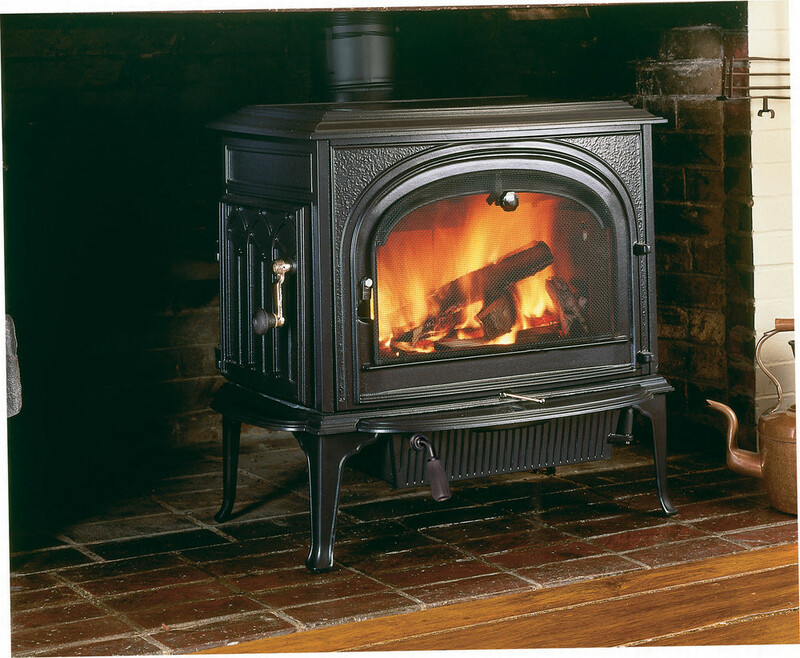 Choosing a large wood stove? This is one of the most popular models and a true performer. 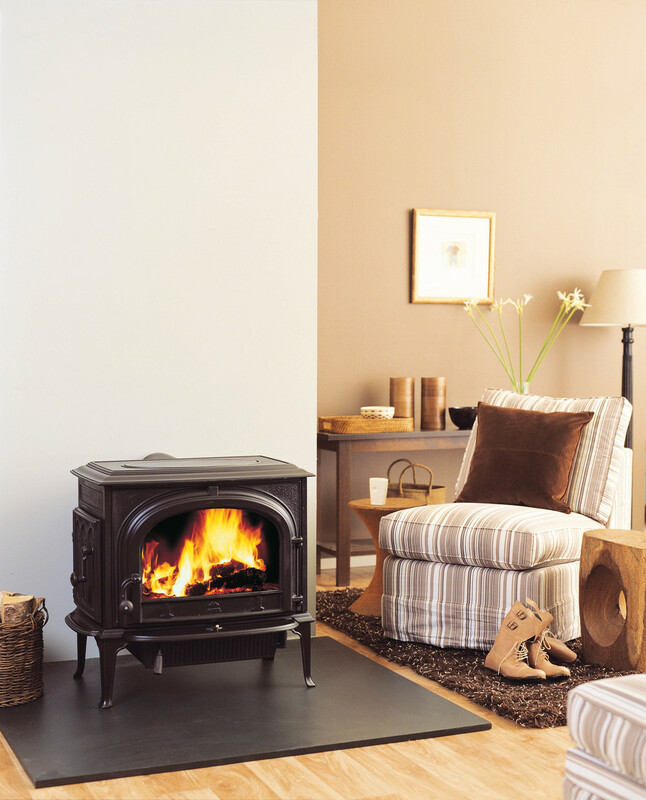 The Jøtul F-500 Oslo wood stove features both front and left side-loading convenience to go with its legendary non-catalytic clean-burn combustion efficiency. 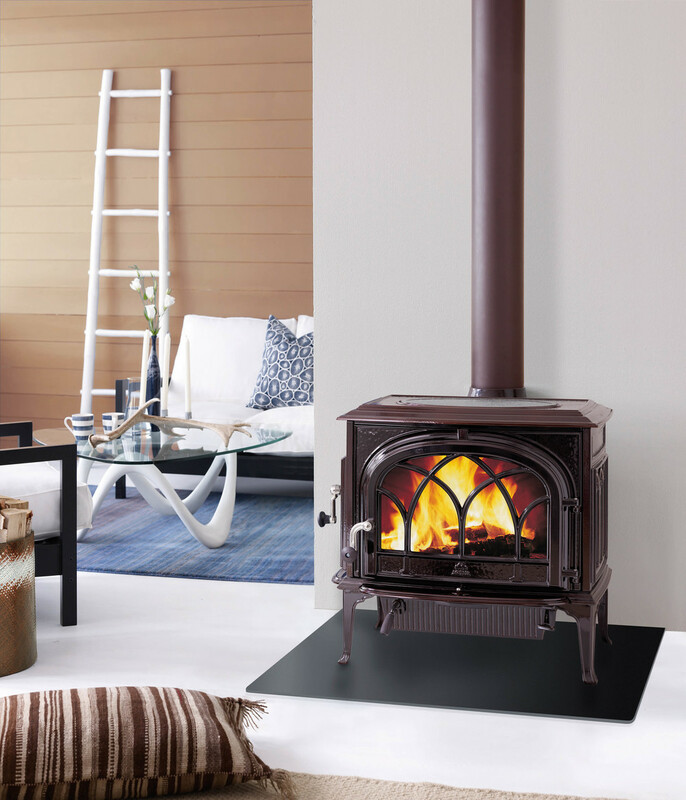 With its signature Gothic Arch design and large fire viewing area, the Jøtul F-500 Oslo is the the best selling non-catalytic cast iron wood stove in North America. Popular Options Include: Screen for open door fire viewing, leg leveler kit, short leg kit for fireplace installation, mobile home-approved leg bracket kit, outside air adapter, rear heat shield, blower kit.